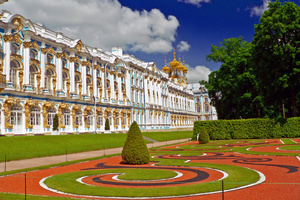 Moscow to St. Petersburg River Cruise, one of the most popular Russian river cruises, take eight to thirteen days. 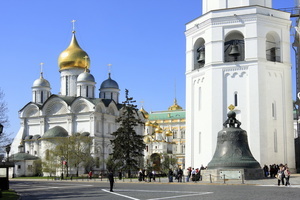 It begins in Moscow where you spend 2-3 nights and explore the capital of Russian. Your sightseeing program includes a city tour, Moscow Metro tour, and visiting Red Square with beautiful cathedrals, the Kremlin, and the Armory Museum. 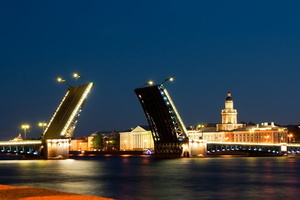 Accommodations in Moscow are either at the hotel (M/S Volga Dream) or on the ship (all other cruises). After several days, you continue the trip, leisurely sailing on the Volga River, the longest river in Europe. 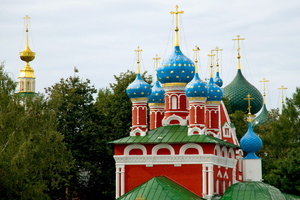 Moscow to St. Petersburg River Cruise takes you along the way on Russia’s Golden Ring route, to quaint little towns and villages with old wooden homes and churches. You will explore Uglich, Yaroslavl, one of the oldest cities in central Russia, founded in 1010, and home of the Spassky Monastery. 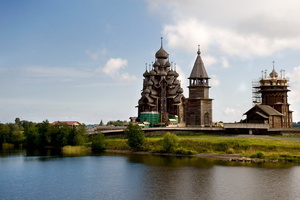 You will visit the tiny settlement of Goritsy, where you’ll find the best collection of Russian icons in the world. Onboard experience includes tea ceremonies, vodka tasting, lectures, and concerts.